Grey Cell Public Relations, has bagged the PR mandate for Crowdera, the free global crowdfunding and fundraising platform. Crowdera is a free online fundraising and crowdfunding platform which helps non-profit entities and social innovators by providing a secure platform where they can raise money without paying any commission or fee. As a growing platform, Crowdera has achieved several successful fundraisers in the USA and has also hosted many campaigns for Indian nonprofit organizations, filmmakers and startups. It has helped over 2300 campaigns raising over 6 Crores ($1.0M) with donors from 35+ countries impacting over 50000 lives. Commenting on the occasion, Madhukar Kumar, founder and chief strategist, Grey Cell Public Relations said, “We are very pleased to add the Crowdera account to our client list bouquet. Through this opportunity, we will get to work for a brand committed for the people, by the people. 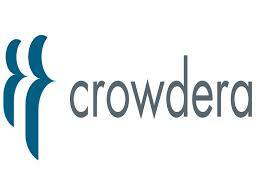 Crowdera represents an exciting opportunity for the Grey Cell Public Relations team in the areas of brand building and cause public relations."